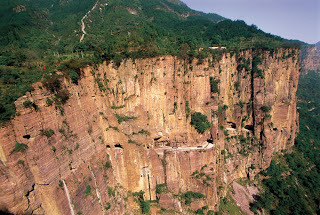 Guoliang Village was almost cut off from its surrounding towns and villages before the construction of the tunnel. 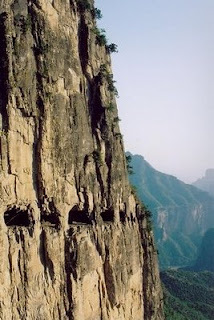 A ladder on a precipitous cliff, also known as the Heavenly Ladder, was the only route in and out of the village. If you are interested where it is located, just click here.